Looking for a Coffee Shop Bath? 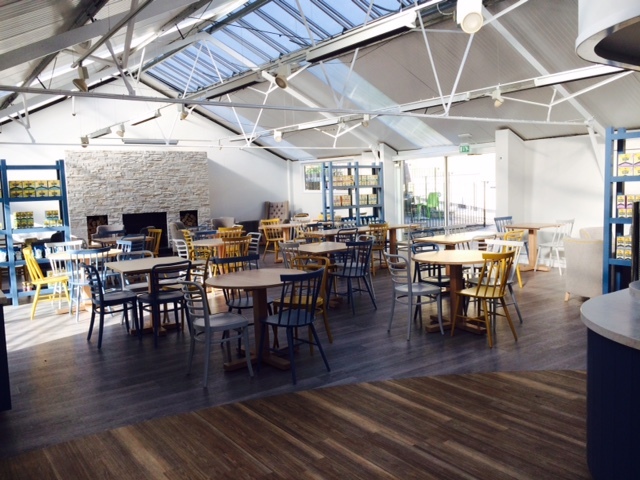 Find a cosy atmosphere to enjoy a cup of coffee at both Lakeside and Fonthill Garden Centre. What better way to spend the day then shopping in a garden centre that is packed with delightful gardening products and plants, and then go for a snack or coffee at one of the best coffee shops in the area? This is what most customers of the Lakeside & Fonthill Garden Centres are treated to whenever they go shopping. This is because we are not only offering a vast selection of gardening products and plants, but also a coffee shop Bath residents absolutely love. At our coffee shops we offer a nice selection of refreshments and snacks, as well as delicious home-made cakes, and of course, everyone’s favourite beverages – tea and coffee. Lakeside & Fonthill Garden Centres offer two coffee shops to choose from. At Lakeside we have The Garden Room, which we opened in 2010 and is run by very dedicated Denise and her formidable team. The Garden Room is a coffee shop that is not only offering delectable snacks and beverages but also convenient opening hours as it opens throughout the week. There is room for 50 people so we recommend bookings. Visit us to find out why we're the Coffee Shop Bath residents flock to. We then opened The Pine Tree Coffee Shop last year. This coffee shop Bath is run by a very dedicated team headed by Leander, and here you can indulge yourself in hot lunches, baked food and cakes, among various other options. The coffee shop seats 60 people and also opens from Monday to Sunday. We are sure that if you visit any one of our coffee shops you are going to be satisfied and bound to return again, as many other customers of ours do on a regular basis, including coffee shop lovers from Bath!